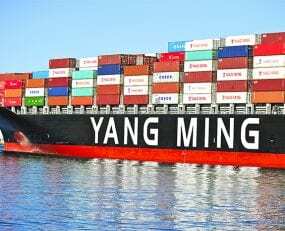 Yang Ming Marine Transport Corp. (Yang Ming) together with four other ocean carriers and terminal operators have signed a declaration of intent with CargoSmart Limited, forming a consortium to establish Global Shipping Business Network (GSBN), a blockchain-based open platform. Alongside Yang Ming and CargoSmart, participating in the project is; CMA CGM, COSCO SHIPPING Lines Co., Ltd (COSCO), Evergreen Marine Corp, Orient Overseas Container Line (OOCL), DP World, Hutchinson Ports, PSA International Pte Ltd and Shanghai International Port Group. The new platform is designed to connect all stakeholders including ocean carriers, terminal operators, customs authorities, shippers and logistics providers, aiming to realise innovation and digital transformation in the supply chain. The consortium will provide a platform to enable the sharing and exchanging of data and information smoothly. The first prototype will be available in December and will allow shippers to digitise their documents and proceed to automatically exchange data with relevant parties in the supply chain, simplifying and expediting the processes of documents and goods.